Fall comes to Charlotte. 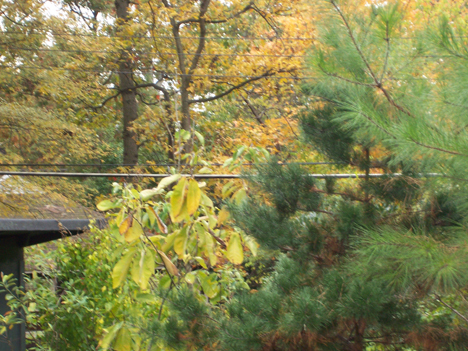 The dead tree is gone and my studio is safe and swathed in the beauty of the fall colors. My two magnolias made it through the summer. One is Fraseri and the other Virginia. You can see them both in this picture. Both are deciduous. I worried about my trees this summer but, with the lakes getting so low, I did not water them. We have reached the rainfall deficit of 14 inches below average. It is bad all over the South. Maybe the mountains and some of the coastal counties are doing better but we are in an exceptional drought.